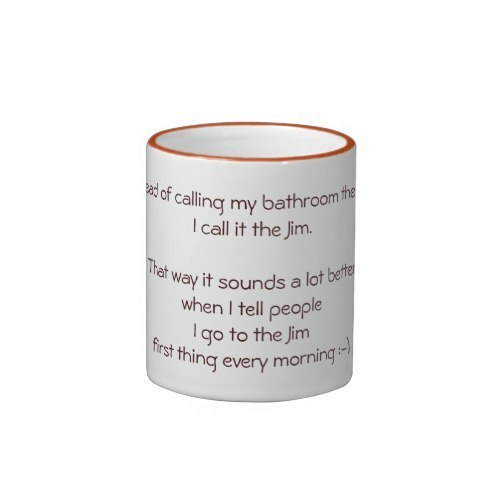 "Instead of calling my bathroom the John, I call it the Jim. That way it sounds a lot better when I tell people I go to the Jim first thing every morning :-)"
A hilarious companion, this coffee mug, for all the lazy bones, who are always falling behind on their gym sessions, or have someone or the other always telling them to go to a gym. Makes a fun gift for friends, family, and you! Have a good laugh with this mug around! Makes a fun birthday gift for people struggling in a fitness crazy world.